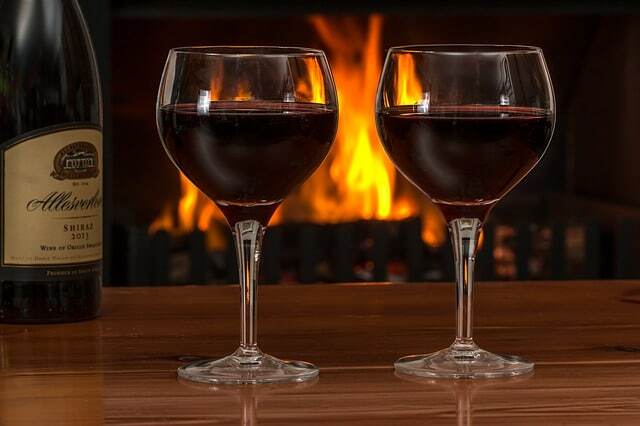 If a red wine spill occurs on your carpet, find a clean, white cloth in your home. You don’t want a patterned cloth or a colored cloth because the dyes can bleed into the carpet. To clean carpet yourself, dampen the cloth with warm water. You don’t want to use soap or any cleaning chemicals on a red wine stain. Just use water. You can make the stain much worse if you apply cleaning products to it. Blot the stain with the damp cloth. Don’t scrub the stain. This is one of the most common mistakes homeowners make when attempting to clean a carpet stain. Scrubbing wears down the carpet fibers and sometimes pushes the stain deeper into the carpet fibers. This can lead to a permanent red wine stain. Blot from the outside of the stain toward the middle of the stain. Don’t start in the middle. This can push the stain out further and create an even bigger problem area. If you start from the outside and work inward, it should centralize the red wine stain. Try to soak up as much of the red wine stain as possible. Don’t let the cloth dry out. Replace the cloth with a new damp cloth and repeat the process. Continue to do this until no more of the stain absorbs into the cloth. If there is still some of the stain remaining in the carpet, find another damp, white cloth and lay it over the stain. Then call a carpet cleaning Fort Wayne company to come to your home to remove the remainder of the stain. 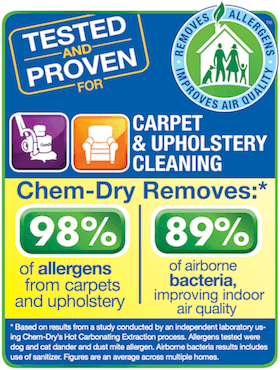 Chem-Dry of Fort Wayne offers solutions and equipment capable of safely removing red wine stains from carpet. Our process is green-certified and healthier for your home. Call (260) 409-1138 for professional stain removal and deep cleaning from Chem-Dry of Fort Wayne.